It's time for me to let go of the New Moon group I started earlier in the year. Concept great, execution decent, connectivity average, future essentially on hold. I'm not committed to this group, and that may sound wishy washy and downright ridiculous since it was my initial idea to foster this, it became something else in the interim, and I also allowed it to shift in intention. I love the idea of working with this womyn for the Kirtan group, but I can't even commit to that when I may not be here in another year, less than if things go as planned. That's not to say, though, that I can't participate and help to facilitate someone else's creation if I'm asked, because from that stand point I'd actually love the opportunity to be part of that process. I'd like to look at it the same way from my perspective relative to the New Moon group; I'd like to foster a growth in the direction they feel they most need at this time so I am not simply stripping what this group could become, but leaving it so that it can grow. If womyn really want this, they need to empower themselves and keep it growing. I can't grow it for them. They need to want this. After tomorrow's visit with the family I'll start to address these issues and go from there. I've been getting a lot of these comments and emails about how much I have helped people and gratitude over the work I have shared, whether it's from direct teaching or healing sessions or simply listening to another person's process, and it's somewhat shocking and surprising, in overwhelmingly humbling ways. I'm not anyone's guru, there's no question there, but I am grateful for the opportunity and the privilege of doing this work, this soulful spirit-full work in Her name. To see and hear others being affected by it in ways that inspires them to create change, I am honored. 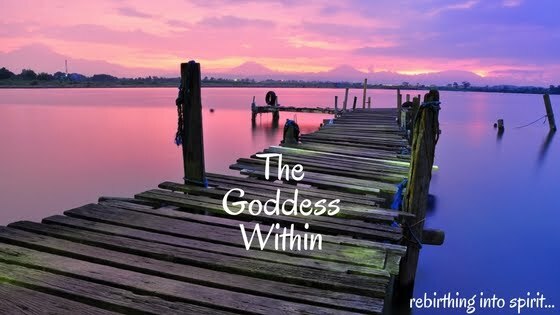 It's helpful and rewarding to hear at times, because I think we all want to feel like we're doing our soul's purpose with integrity, and I'd like to think that this, these words and desire to seek out inspiration and guidance from me reflects the authentic ways in which I work hard at teaching/facilitating. There are several I know who would laugh at these thoughts and say "but of course, you were meant to do this, don't be surprised"... I am surprised, and I like that I'm surprised. I want to be able to hold onto elements of that surprise to keep making the work I do better... it's humbling and surprising and truly I do this work in the service of gratitude and love.